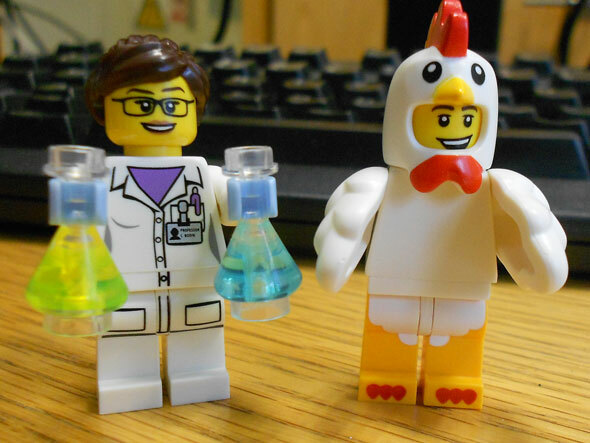 Look what just arrived in the post – the (LEGO-)game changing Female Sientist (more about that here) and the whimsical Chicken Suit Guy. I may have confessed to a colleague that I have a soft spot for the whimsy of LEGO minifigures and wanted these for my blogs, and he actually procured and sent them. How cool is that? 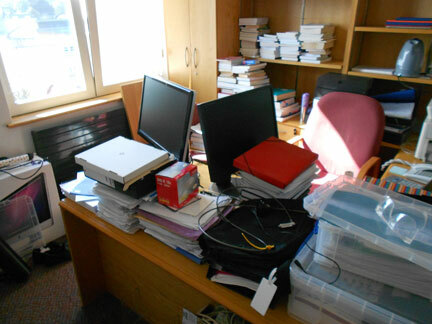 All books and boxes have been moved, but where am I going to put everything? 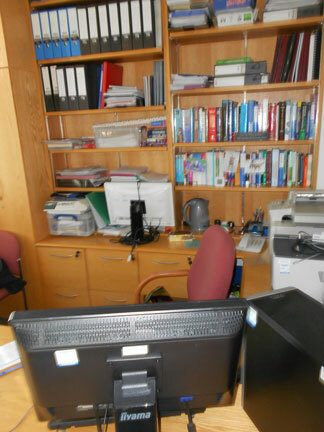 The contact directory doesn’t seem to have updated itself yet, so a quick note via the blog: I have moved from an office in the Centre for Computational Chemistry (W236) into one in the Synthetic Chemistry Building (N423), phone extension number has stayed the same. It all fits (well, nearly, there are still thins some of the previous occupants need to collect). But the important thing is that the computer is up and running again. There was a stage on Friday where I wasn’t sure all my accumulated stuff would fit in, but, as the photo shows, it all worked out in the end. 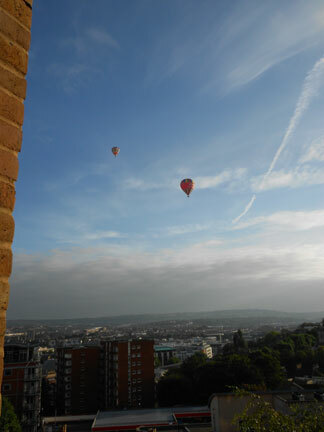 And as if on cue, the hot air balloons came by to highlight the superior view. 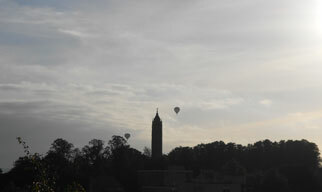 Who can be uncheered with a balloon? In a departure from our usual format, Natalie has taken her camera to the University of Bristol Botanic Garden to focus on plants that have found medicinal and culinary uses. We plan to explore some of these in greater detail in the future, so for now there are many pictures and just a few links,* mostly to the relevant Wikipedia pages** for plants and key compounds, to get you interested.